Hi guys, As you might know I am not a gal that is really into beauty that much, however, when I saw this lipstick I needed to have it! I've bought it last weekend on my trip in Munich, where I started my lipstick mission. I wanted a purple like lipstick for this season. My mom is a huge fan of YSL make up, so she figured out we should pay a visit there. 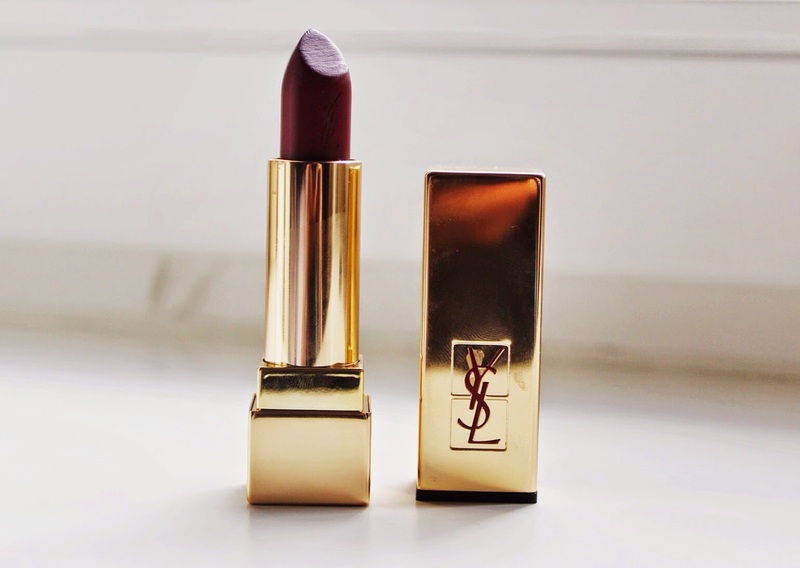 And there I found my new beauty must have; Yves Saint Laurent lipstick Rouge Pur Couture number 54. What do you think of this lipstick? Let me know!